My uncle survived the much feared brain surgery in the hospital, the time after the surgery was a bit difficult due to several post-operative symptoms, but now there is progress every day and I hope this will continue. It was a busy time for us all, so that I didn’t want to update my blog. He is now back at home, and the doctors said it’s unlikely but he could still get some bad symptoms like epileptic seizures, and that’s why I am at his home again in Reinfeld, just to see how things go. I will be there for another two weeks, and after that we hopefully got an apartment for him in our city Lübeck to have him near us. There are still some things to sort out, but I don’t go into detail yet, I might write about it again in the future but I want to write about something else now. It’s not the greatest photo due to all the distracting stuff in the image, but anyway, I always like to take photos of wild animals, and you can’t have it perfect all the time, so that I am happy about the photo. I mean, this mouse was way too cute, and as you can see in the photo, the mouse was curious and it almost looks as if it thought “Hi there, want to take a photo of me?”, that was at least the funny thought I had when this happened, the mouse literally asked for the photo. So, I am glad to present you the first photo I shot of a wild mouse, all the other mice I uploaded in the past were pets. 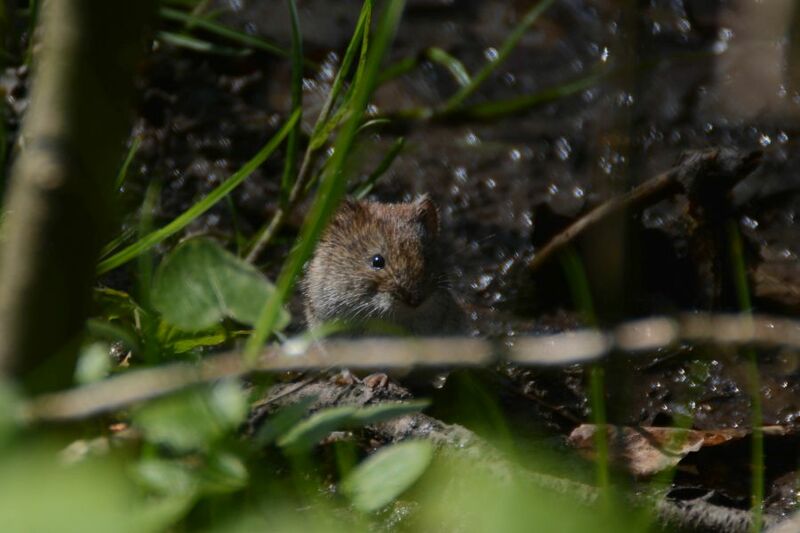 I never expected to take a photo of a wild mouse, because how would I do that, it would be a much bigger challenge to plan this, and that means I am glad about the coincidence. What an adorable photo!! So glad you shared it. And glad your uncle is ok!! You’re a good man, Dennis. Nice this little guy greeted you (and us)! What a cute little fellow. Really so cute! Good shot.